We all love oils for its intense aroma. Don't we? After a long, stressful day. What can be a better way for relaxation? Yes, The answer is simple; Lavender Essential Oil. Lavender Essential Oil is processed from the Lavender flowers. Its use in Cosmetics, Massage, Medicines, Embalming makes it a key ingredient. Now, the question comes how to use it? Don't worry! Here is the answer. Diffuse it in the area where you spend most of the time or infuse 2-3 drops of this oil in your bath water. A relaxing bath inhaling the scent calms the mind. It eliminates the negative feeling and refreshes the mind. It promotes emotional balance and well-being. Not only it reduces the stress hormones, but also promotes a sound sleep. Topical application of this oil serves as an Antiinflammatory. It reduces the Irritation and Pain associated with Insect Bites. It soothes the Irritated skin by adding moisture and also reduce the symptoms of Eczema. It is useful in case of Acne. It inhibits the growth of bacteria. 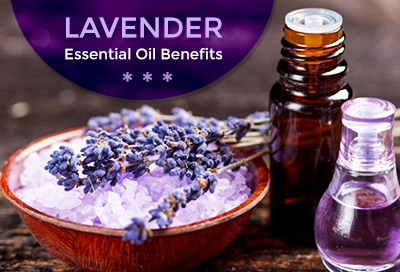 --For its Maximum Benefits, you only need to have a bottle of Lavender Essential Oil in your bathroom cabinet. It does wonders! A massage relieves Pain caused by sore and tense Muscles, Sprains, Backache, Joint Pain. Topical application hastens the healing method of Wounds, Cuts, Burns, and Sunburns. It stimulates the regeneration of skin tissues and fades away the Scars. Warm Oil behind ears, under the jaw, and on the sides of the throat, help to relieve Earache. When infused or inhaled, it balances the problems of Vata, Pitta, and Kapha. By balancing the Vata it calms the mind. By balancing the Pitta it brings clarity. By balancing the Kapha it removes Lethargy. No wonder why people opt for Lavender Oil. Now we get it. It smells so amazing! !